Shall consist of miscellaneous, unalloyed copper scrap having a nominal 96% copper content (minimum 94%) as determined by electrolytic assay. 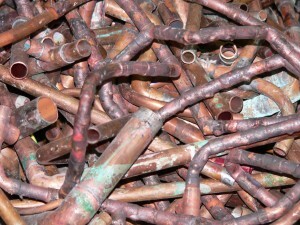 Should be free of the following: Excessively leaded, tinned, soldered copper scrap brasses and bronzes excessive oil content, iron and non-metallics copper tubing with other than copper connections or with sediment copper wire from burning, containing insulation hair wire burnt wire which is brittle and should be reasonably free of ash. Hydraulically briquetted copper subject to agreement.